It's an unforged knife range. 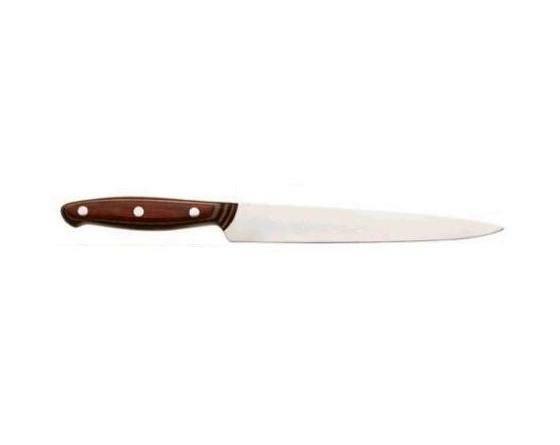 The knives are manufactured with stainless steel. The blades are tempered, ground and polished crosswise. A very special grinding was used to manufacture these knives. The blade and the tang of the knives were enterely polished to have a perfect mounting of the Corol handle (Pressed Wood from Spain) with three through rivets. From stamping to packaging, we garantee that all our operations are performed in the Thiers region in FRANCE by skilled workers to ensure a professional quality craft finish.